We're back this week with Part 2 of Joel's interview with Mick Mooney, creator of the Searching for Grace comic strip. This week's conversation went in an unplanned direction - and the spontaneity led to some great discussion about many things! 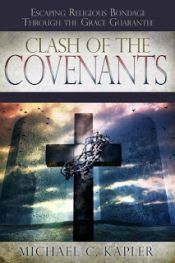 Much of it revolves around Old Covenant "shadows" (such as the Sabbath, the sacrifices, tithing and circumcision) vs. the New Covenant "substance" - Christ Himself. If we try to live out any of the Old Covenant ways, even with a label of "grace" or "Christianity" on it, Christ is of no value to us at all! All that matters is "a new creation" and "faith expressing itself through love." We think you'll glean a lot from Mick's wisdom as he shares about these things and much more!